Annika Helberg is the Head of the Sustainable Prosperity for Europe Programme at the European Policy Centre (EPC), a think tank. The EU’s extravagant agricultural subsidies are damaging the health of Europeans, polluting the environment, and contributing to global warming. 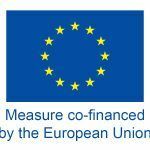 EU member states can no longer afford to ignore these impacts and the related costs for society and the economy. It’s time to give up sacred cows. What happens in the ongoing EU budget negotiations matters: under the European Commission proposal about one-third of the total EU budget, €365 billion, would be spent on agriculture in 2021-27. This is money away from other priorities. 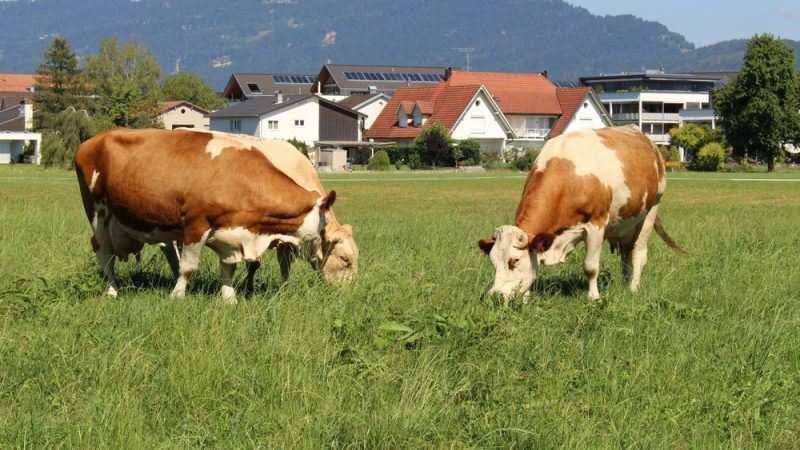 If the EU is serious about using taxpayers’ money to improve the lives of Europeans, also the Common Agricultural Policy (CAP) should help to increase people’s welfare and protect the planet. The farm lobby often argues that it’s better to subsidise animal farming in the EU than import from countries with lower standards, that livestock is needed for food security, or that European lands are more adequate for growing food for animals than for people. Before rushing into such conclusions, the bigger picture merits a closer look. First, the economic cost alone should raise concern. European livestock farming depends on subsidies, directly and indirectly. Taxpayers’ money is used to support farming practices that are not competitive or economically viable for producers or for society. According to Commission statistics, up to 90% of cattle farmers’ income comes from subsidies. While the dependency on EU money is lower for dairy and many field crops (mainly used for animal feed), they are also on permanent life support. Whereas 65% of the EU’s agricultural land is dedicated to livestock and 2/3 of cereal production is fed to animals, the potential with producing nutritious, sustainable and economically viable food for humans is greater than often realised. Vegetable and fruit farmers already compete on the market with little to no income support from the EU. The market for meat and dairy alternatives is seeing double-digit growth and there is untapped potential with cultivating plant proteins for humans. Second, by sponsoring the unhealthy diets of the Europeans, the CAP is damaging people’s health and burdening healthcare systems with unnecessary costs. Preventable chronic diseases, greatly due to unhealthy diets, account for 86% of deaths in Europe. The World Health Organization (WHO) classifies processed meat as a carcinogen, known to cause cancer and red meat as a possible cause of cancer. Scientific research also links consumption of animal products to an elevated risk of Alzheimer’s, diabetes, intestinal and numerous other diseases. WHO guidelines for a healthy diet are built on a plant-based diet. What does the EU do? It subsidises not only livestock production but also consumption. For example, the EU has been offering school kids dairy products since 1977 – worth €100 million this school year. For anyone who suggests that the EU should not dictate what people eat and drink: this is exactly what it has done in the past decades, with an intolerably high cost for our society. Third, the impact on climate is alarming. According to the Food and Agriculture Organisation (FAO), the livestock sector accounts for 14,5% of global emissions. As a major producer and consumer of livestock products, Europe has a huge responsibility in addressing related emissions. So far, political efforts and investments have zeroed in on reducing energy and transport emissions, which hopefully will produce tangible results in a few decades. But this means little if the emissions from food production and consumption continue to grow. Delivering on the Paris Climate Agreement and achieving climate neutrality requires reducing livestock-related emissions, and promoting plant-based diets and healthy soils to capture carbon. In fact, in the short term, this would be by far the fastest way to cut emissions in the EU, as well as globally. Fourthly, agriculture has a significant environmental footprint, impacting soil, water, air and biodiversity. The nutrients and pesticides used in the sector pollute land and water. Ammonia emissions from livestock waste are a significant source of air pollution. Agriculture also contributes to growing water scarcity: it uses more than 40% of fresh water in the EU, with a significant share used for livestock production. The current system is failing Europe, Europeans and the planet, in a big way. Achieving sustainable European agriculture is more important than ever and bringing about change is a shared responsibility. It is in the farmers’ interest to actively participate in the transition, if they wish to secure their livelihoods for the future. However, they also follow consumer preferences and financial incentives. The EU and national policymakers create a framework for action­. During the EU budget negotiations, no sector should be off-limits. The debate should shift from how much farmers are paid to how the money is spent. The CAP should help to develop a competitive European agricultural sector that produces nutritious, sustainable food that contributes to people’s wellbeing. While farmers should be supported in the transition, the EU must aim to end subsidies to uncompetitive farming practices that are harmful to people’s health, the climate and the environment. In the new budget, each euro invested should provide added value for the EU and its citizens and help to address rather than exacerbate the EU’s challenges. Might I suggest that Annika Helberg and others of the same opinion do a proper cost and use evaluation regarding farm livestock in particular cows and dairy cows especially. Yes they produce methane and effluent detrimental to the atmosphere especially if not managed properly but I would suggest that the benefits of cattle per se far outweigh the drawbacks. A good point to start in my opinion would be to visit a supermarket and then blacklist every single product that is relevant to a cow both when alive and dead and come up with a viable and environmental alternative. It is not the just dairy and meat products on the shelves that would be affected but also much of the processed food products where milk and its processed products and byproducts are used, butter, cheese and whey powder the latter of which is high in protein and as a by product of cheese making probably a cheaper source than from plant products. Once finished in the food section then move on to the clothing section and in particular leather goods, what serious leather replacement is there other than synthetic materials that require a high degree of manufacturing much of which use oil as its original base. As regards red meat being a recognised carcinogen, to what degree? Much of modern life includes products that are carcinogens but it is the level of risk compared to each other that makes them relevant or not. Finally this: 99% of the dairy cow is used in some form of manufactured or processed product. Only by evaluating every single one of these products with their benefits and drawbacks and then evaluating their replacement products (if any at present) also with their benefits and drawbacks can you really come up with a decision as to what is best for the environment. When, and only when someone has come up with this all inclusinve evaluation should we make the decision as to what the future is for farming livestock. NB. I have no connection or vested interest in any agricultural or retail business.